Power transformer is an important part of the electrical power transmission system. It converts one voltage to another, starting from 110 kV transformers to 220 kV transformers. 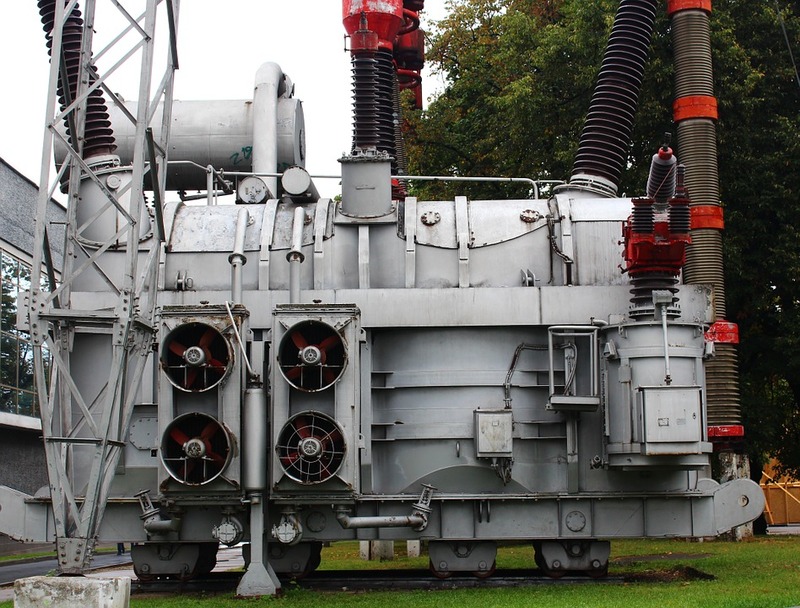 In this article we will talk about the design of 110 kV transformers. In 110 kV transformers there are bushings at the top and the neutral wire at the bottom; the core is made from windings of low-voltage and high-voltage and the pole. It uses two insulating cylinders 6 mm thick. The windings are pressed together with the pressing rings and angular washers are made from electro cardboard. The thickness of insulation barriers that separate high-voltage windings are 8 mm. The surge protection for high-voltage windings is ensured by the voltage-controlling capacitor bushing. The binding is made of half dry glass material. In case you need to move a 110 kV transformer, its tank is provided with four roller bearings positioned between carriages. High-voltage bushings of oil-paper insulation are installed on the mounting flange. The lower part of these bushings is covered by synthetic resin bonded paper cylinders and by a covering plate made of magnetic material to align electric fields. The structure of the cooling system consists of a straight-tube heat exchanger, which is fan cooled. The fans are powered by distribution boxes that are connected to the main line. The other parts of the 110 kV transformer are similar to other transformers and are only different in weight and size.